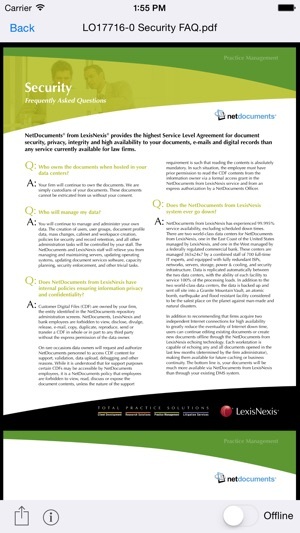 NetDocuments is a cloud content management service for businesses of all sizes to securely create, store, manage and share their document work anywhere, anytime. If you are a NetDocuments customer, simply install this iPad or iPhone app for free, and you will have access to all your documents while you are on the go. 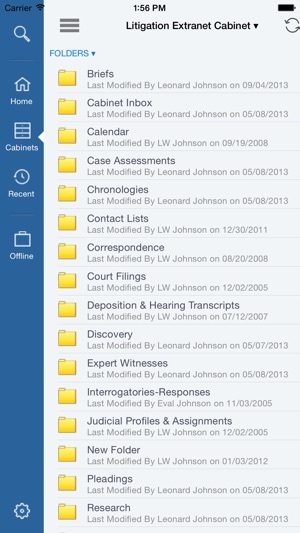 • Find any documents using full-text search or by navigating through folders, filters and workspaces. • Email copies of documents or documentlinks to others. • Create a passcode for further security and protection, or use Touch ID. • • Print documents using a Wifi printer or Breezy printing services. • Use your organization’s login services such as ADFS, OKTA, OneLogin and other supported federated identity providers. • Edit documents directly with Office365 apps, with appropriate licenses. The NetDocuments app integrates out-of-the-box with any "WebDAV" or "Open in" compliant apps such as Documents To Go, Pages, GoodReader, etc. ShareSpaces cannot be accessed from this app. The search bug was fixed. 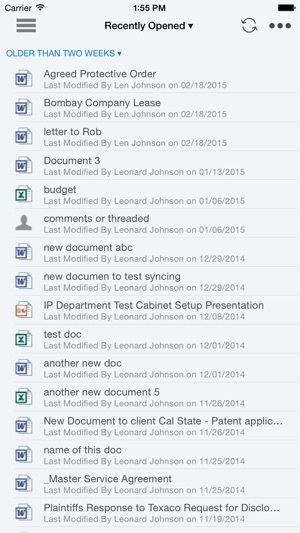 Very useful app for working remotely in NetDocuments on iPad. Experiencing a bug whenever trying to upload a picture from the Photos app: I can only pick a workspace that I've recently visited and the menu button causes a crash. I can't search by workspaces (unless I'm just missing something) which is a hassle. It's a good start and I look forward to future capabilities.